“I Dream in Another Language” is BLIFF’s closing night film. 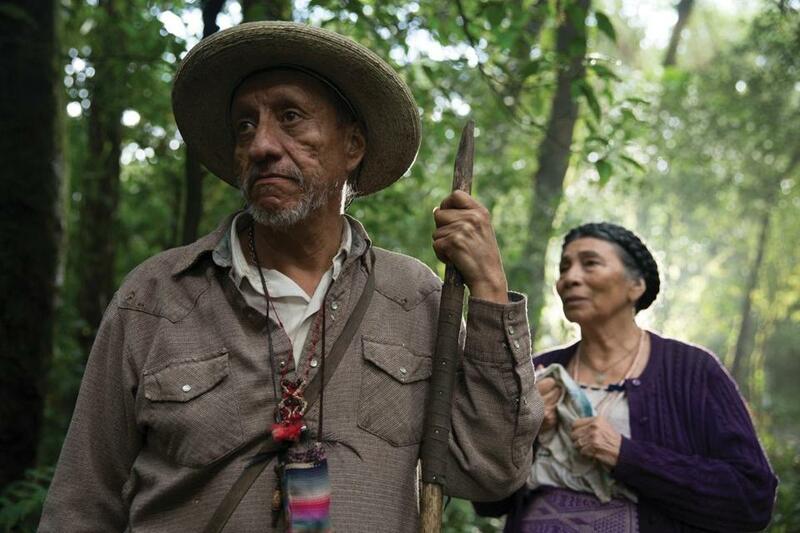 There’s still time to check out several films in the 15th annual Boston Latino International Film Festival, which draws to a close Oct. 1. Cuban musician Chucho Valdés (who’ll perform in Boston in February) composed the music for “Esteban,” about a 9-year-old boy (played by Reynaldo Guanche) who dreams of becoming a pianist. Director Jonal Cosculluela sets Esteban’s story within the harsh realities of current life in Cuba. It screens at 3:45 p.m. on Sunday at Northeastern University. “El Hombre Que Cuida” (Sunday, 3:30 p.m. at Emerson College’s Paramount Center), from director Alejandro Andújar, is about a pivotal weekend in the life of a small village fisherman (Héctor Aníbal) in the Dominican Republic. The festival’s closing night film, “I Dream in Another Language” (6 p.m., Northeastern), won the Audience Award for the World Cinema category at the 2017 Sundance Film Festival. Directed by Ernesto Contreras from a script by his brother Carlos, it’s about a young linguist (Fernando Álvarez Rebeil) who heads into a remote village in Mexico to document two old men (José Manuel Poncelis and Eligio Meléndez), who are rivals as well as the last two speakers of a dying language in the tiny hamlet. The public is invited to the BLIFF’s free awards ceremony and a closing reception at 7:30 p.m. at Northeastern’s Cabral Center, 40 Leon St.
For more information go to www.bliff.org. More than 100 scripted features, documentaries, and shorts will screen in the 17th annual New Hampshire Film Festival running Oct. 12-15 in Portsmouth. There are several high-profile films on the schedule, including Sean Baker’s “The Florida Project,” about adults and kids living on the margins in a Florida motel; “The Square,” Swedish director Ruben Ostlund’s art-world satire starring Claes Bang and recent Emmy-winner Elisabeth Moss; “Lucky,” directed by John Carroll Lynch and starring the late Harry Dean Stanton; and Vincent Grashaw’s Sundance Film Festival hit “And Then I Go,” starring Melanie Lynskey, Justin Long, and Tony Hale. Jim Shepard adapted his novel “Project X,” about troubled high schoolers, with co-writer Brett Haley (“The Hero”). The festival also presents a comedy panel featuring Tom Bergeron, host of ABC’s “Dancing With the Stars,” and television writers/actors Rae Dawn Chong, Cole Escola, Peter Mackenzie, and others. For more information go to www.nhfilmfestival.com. The Provincetown Film Society will present movies by and about women during Women’s Week in Provincetown, Oct. 6-15. The program includes the 31st anniversary re-release of Donna Deitch’s “Desert Hearts” (1985), with Deitch in attendance for screenings Oct. 12-14. She will also be honored at the third annual Women Filmmaker’s Residency brunch on Oct. 13. Promoting women on both sides of the camera was the mission of the inaugural Women’s Media Summit that took place in Provincetown in April. The organizers of the summit just released a “white paper” outlining a practical action plan for achieving equal representation of women behind the scenes and on the screen in film, television, and streaming platforms. Christine Walker, CEO of the Provincetown Film Society (sponsor of the annual Provincetown International Film Festival), co-wrote the report with Maria Giese, a film director who in 2015 instigated an industry-wide federal investigation into discrimination against women directors in Hollywood, and Caroline Heldman of the Geena Davis Institute for Gender in Media. It can be downloaded from the PFS website. For more information go to www.provincetownfilm.org.